For this block you want to use your background and two colors that are very close together. I'm showing you a distinctly light and dark purple to make the block just to distinguish between the two colors. By using two colors that are just slightly different, you get the shadow affect that makes this block so neat. 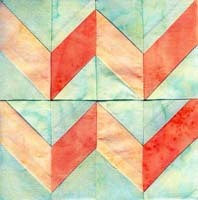 At the bottom of this page is a photo of my finished Chevron block so you can see which colors I've used. 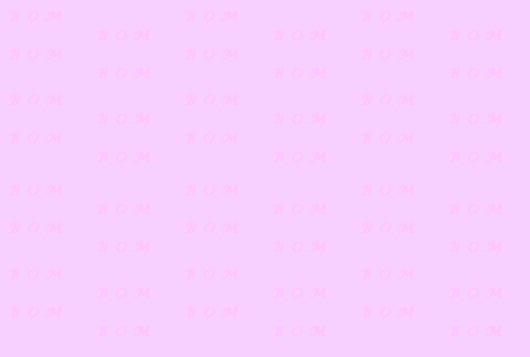 To make your sewing easier, start off by drawing a line diagonally through the center of the wrong side of all of your background squares. This will be your sewing line. For this block we will be making the same unit twice, with one big exception. Notice that the units go in different directions. This is important, so remember that as you sew your units together. We will start with our dark color. Put one of your background squares right side down on top of a dark rectangles, with the diagonal line as shown. Sew on that diagonal line. Trim leaving a 1/4 inch seam allowance. Press the seam allowance towards the background fabric. Place another background square on the other end of that same purple rectangle. Make sure your diagonal line is going in the right direction. Sew on the diagonal line, trim leaving a 1/4 inch seam allowance, and press toward the background fabric. Repeat with the remaining three dark rectangles. Now repeat that same process step by step with the medium rectangles, just be sure to go in the other direction. This time press away from the background fabric. 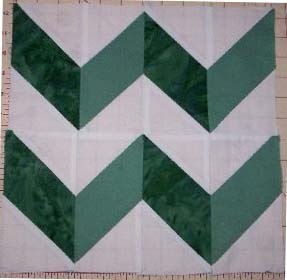 Assemble in two identical rows as shown here, and then put your block together.